Rachael Dawn Duffley was born on Sunday, December 3, 1989, just after midnight during an enormous snowstorm. Rachael grew up in Kiersteadville, in the Belleisle area of rural New Brunswick, the oldest daughter of Mark and Lynn Ann (Jennings) Duffley. Rachael was extremely active as a young child, enjoying music, drawing, dress-up, playing games, and catching frogs. And how she loved to swing! Her sisters Vanessa, Mariah and Kirstin share her combined love of physical activities and studies, all attending Belleisle Elementary and Belleisle Regional High Schools in Springfield, NB. Her maternal grandparents Gloria and Cecil Jennings of Grand Bay- Westfield, and paternal grandparents Jim and Rita Duffley of Quispamsis, all delighted in her academic and athletic achievements. Rachael was only seven months old when she took her first dip in Belleisle Bay and continued swimming until she had achieved her Bronze Cross. Rachael seldom missed events at her local church where her voice could be heard practising for the Christmas Play or chatting during youth group activities. She joined Sparks, and proudly wore each pin and badge she earned until reaching Pathfinders. Rachael became an avid reader at a young age, regularly finishing a novel within a single reading. Some of her favourites included Rainbow Six and the Lion, the Witch, and the Wardrobe. Rachael studied tap, ballet and jazz dancing, always flashing an enormous smile whenever she was on stage. Her love for country and classic rock inspired her to fill journals with her thoughts, song titles, and lyrics. She admired country entertainers like Alan Jackson, Brooks and Dunn, Tim McGraw and Garth Brooks. Her love for colouring and drawing progressed to painting and sketching, and soon her posters won cash prizes. This soon developed into an interest in photography; family albums were often raided for her projects. Rachael filled scrap books with images of herself, her family and her friends and teammates to remember cherished events, sports tournaments, tours of Italy and New York, and her much loved “road trips” with friends – just for the fun of it! Rachael’s abilities as a leader and talented athlete won her the admiration of her large extended family, friends and teammates. Whether she was involved in school, hockey, skiing, swimming, camping, fishing, boating, travelling, or her beloved game of rugby as a player, ambassador or coach, Rachael gave it her all. Beginning in grade six, she was presented with numerous awards and was frequently recognized for her contributions to the school community through her involvement in sports, student activities, fund-raising events, student council, and tutoring. In 2003, she was presented with Belleisle Middle School’s esteemed Participation Award, which in turn was earned by her sisters Vanessa in 2006 and Mariah in 2008. Rachael applied the same dedication and commitment to her employment, whether babysitting, refereeing basketball, selling strawberries, serving tables, tutoring students, assembling equipment, or planting trees, she worked diligently and with integrity―always striving to do better! Rachael’s first team sport was soccer, although hockey and rugby became her passions. She was especially proud of her District 5 Midget Champions Medal and MVP trophy, both earned as the only female member of the Hampton Midget C Hockey Team. But it was Rachael’s attraction to rugby which won her the respect and interest of fans and players, and which brought her skills to a wide and appreciative audience. Rachael was a member of the Belleisle Rugby Club, the NB U-19 and Black Caps women’s programs, the Saint John Trojans, and the St. Francis Xavier University Women’s Rugby Team. One of Rachael’s favourite quotes, by James Dean, served as her guiding principle in life, “Dream as if you’ll live forever, live as if you’ll die tomorrow.” She shared her enthusiasm for living through her humour, quick wit and winning smile. 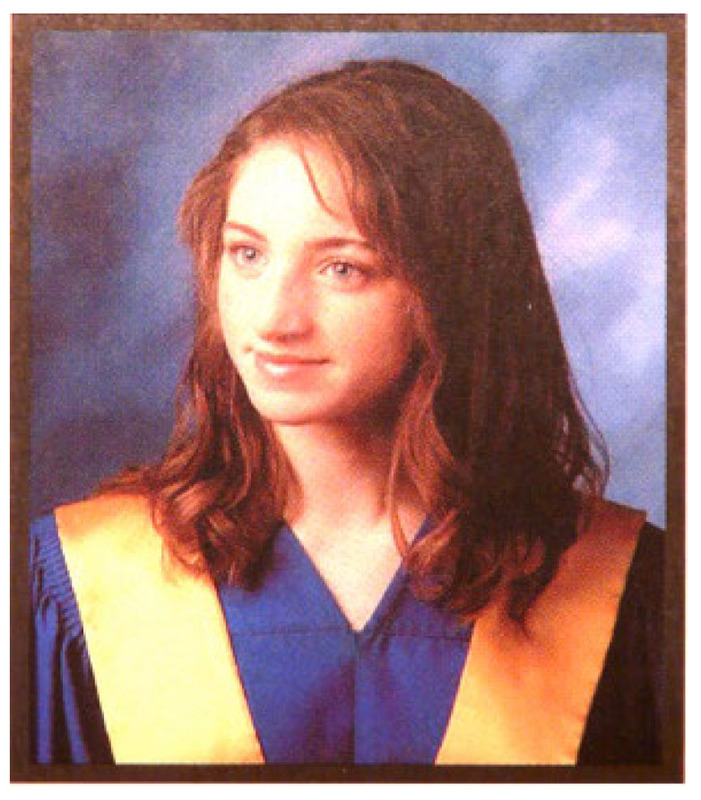 On Sunday, July 6, 2008, Rachael’s life was taken away in a tragic car accident, very close to her home. Investigators reported the daytime mishap occurred as “she was driving in a normal, safe manner”. Rachael’s family has established the Rachael Dawn Duffley Memorial Scholarship Fund as a lasting memorial to her commitment to family, youth, education, sport and the Greater Saint John area. Future recipients will be graduates of Belleisle Regional High School, entering a post-secondary education institution. Academic success, leadership qualities, extracurricular/community/athletic involvement, and financial need shall form the criteria for consideration in awarding the scholarship. Contributors to the Rachael Dawn Duffley Memorial Scholarship Fund can support scholarships through contributions to the Fund established in her memory at any time. The Greater Saint John Community Foundation is honoured to have been entrusted with this memorial scholarship fund in September, 2008.